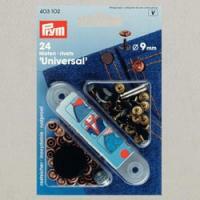 Fasteners are an essential Haberdashery item, whether you are looking for a hook and bar Fastener for your trousers and skirts or sport and camping press Fasteners for your outdoor needs you can be sure to find what you are looking for here. 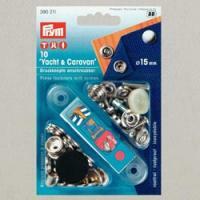 Fasteners are predominantly used in dressmaking but are also used for outdoor items and around the home. 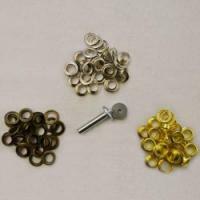 Our 10mm jersey cap press Fasteners are commonly used for baby clothes including babygro’s and for light weight, loose weave clothing. A hook and bar Fastener is a popular choice for fastenings on trousers, skirts and other garments where a clean, tailored look is required. 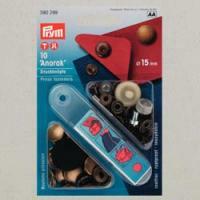 This is a secure fastening and makes an excellent alternative to a button. 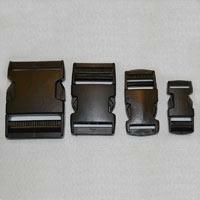 Another alternative to the traditional button fastening is a snap Fastener. 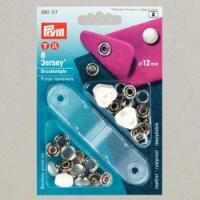 Our snap Fasteners by prym are often used on children’s clothing rather than a button as they are easier for little fingers to fasten. 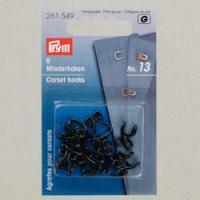 Snap Fasteners are also especially useful for anybody with dexterity problems. 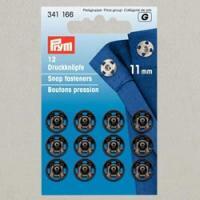 Not only found on clothing, Fasteners are also ideal for use on sports and camping equipment. 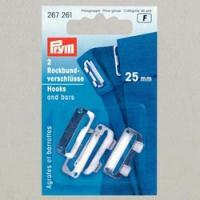 Our prym sports and camping press Fasteners are a convenient and easy to use choice for securing your sports bag, sports clothing and tent flaps. 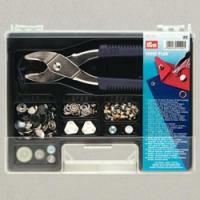 Not only do we stock Fasteners but also a range of equipment such as the vario poppa pliers which are a useful and versatile tool for riveting press fasteners, eyelets and jeans buttons to ensure that your items are not only beautiful looking with a professional finish but most importantly, secure.